I personally believe that trading manipulation in the forex market off of 15M charts is the best way to trade manipulation. This video however illustrates how wide spread manipulation is, and how it can be seen in all markets on all time frames. In this video I also break down a trade from today’s NY Session that I was taking during the live training room. Overall the trade is a good example of short term market manipulation. The end result for the trade was only +3 as the market retraced most of the initial move in our direction and then died out for the day. One key trade management rule I use is the session change rule. Essentially if I’m carrying a trade when a major session begins I move the trade to break even or close the trade out. When going into the Asian session I always close the trade out which was the case today as well. I hope this video gives a bit more insight into the versatility of manipulation and tracking smart money. 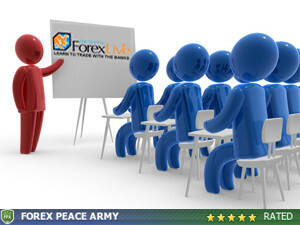 Special Lifetime Membership Discount: Lifetime Membership to the Forex Bank Trading Course, Forex Forum, Nightly Video Training, Live Weekly Training session, and Lifetime Member Support at a special discount this month – Click Here For More Information. Thanks Sterling for another informative video. Keep up the good work & hope to see more of these regularly in the future. Greatly appreciated. Regards, Herc.